My twins LOVE cheese puffs or as Noah calls them "cheenos!" So I was on a mission to find them something healthier and here it is. 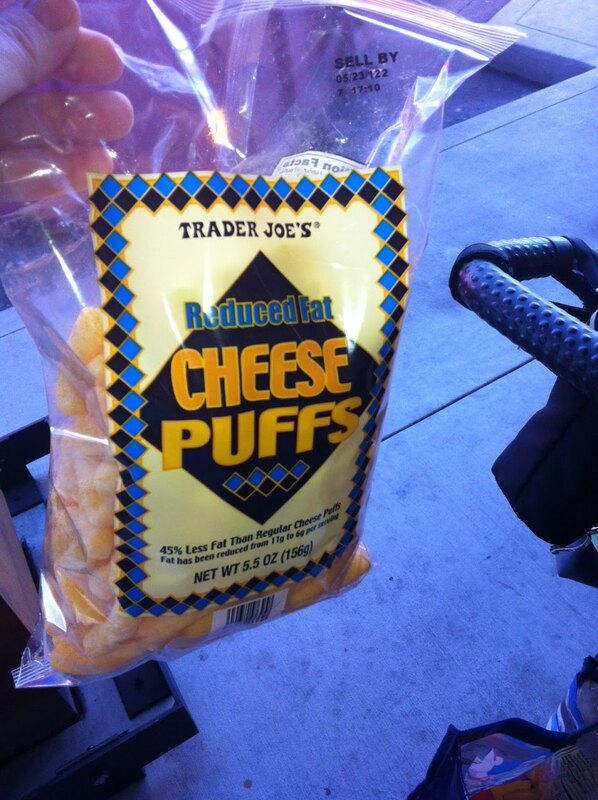 Trader Joe's Cheese Puffs 35 puffs for 130 calories. For me when I had them I didn't even need 35 nor do the kids so I cut the serving in half. I do that A LOT I do just half a serving because I like to keep my snack foods under 100 calories. Now go get some, of and I think they were $1.99 a bag, another plus.